This is a still capture from video shot with a GoPro Hero2 mounted on the front deck of my board. The video is jittery in anything but deep powder (when the camera is usually buried). But I like the effect and am always surprised at the stills I can pull out of the footage. 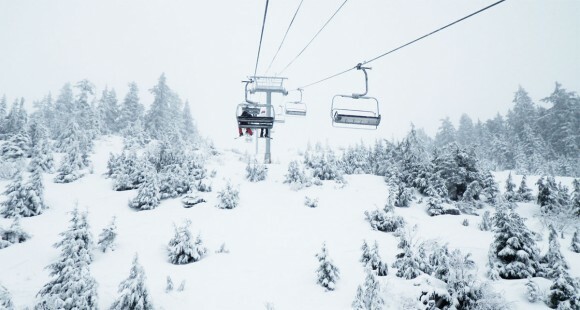 We had a lovely morning on Cypress Mountain today – as you can see there was hardly anyone around all morning. 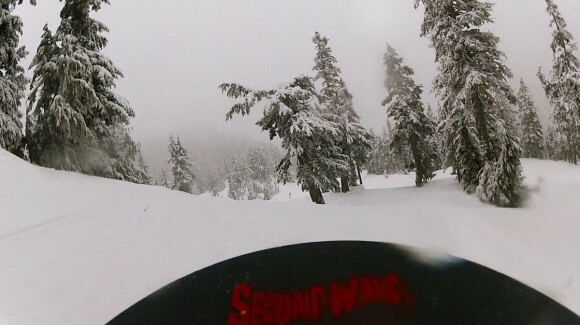 Great conditions on Cypress Mountain this morning. Snowing steady and hardly anyone on the mountain all morning. Maybe everybody’s too broke after Christmas ? Stunnning. Led Zep on CBC Radio 2 mid-afternoon on a weekday.